T-BALL SET | American Plastic Toys Inc. Perfect for kids to practice his or her swing! 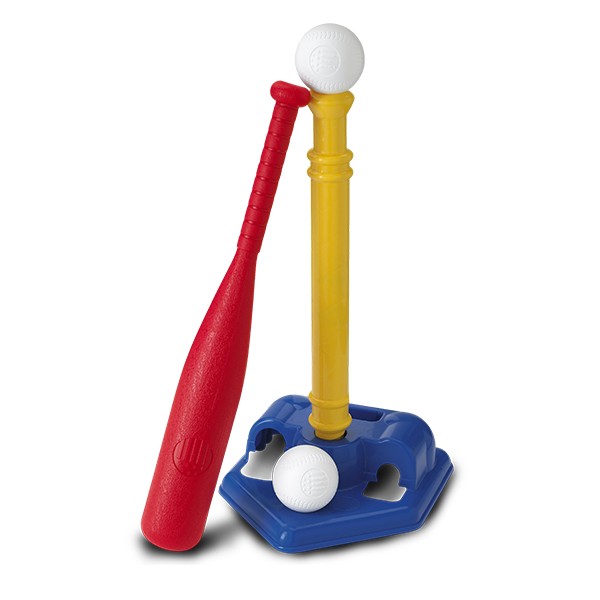 This fun set features a sturdy base, adjustable height, and includes a bat and two balls. Packaged in a colorful, corrugated carton with a full color litho label.